While I’m gazing out the window, rain is pouring down and the temperature is dropping. Autumn is here if you like it or not. I personally love summer, but I can certainly appreciate autumn. October is the month you start meeting up with friends in bars again, instead of at parks or festivals. What better drink than a bock beer to celebrate friendships? Bock beer originates from Germany, where the first harvest of the wheat and barley was celebrated with new lager; in this case the darker autumn lager, bock beer. Originally bock beer has a low fermentation with about 6,5% alcohol, the color was ruby red and had a beautiful malty and caramel flavor. Nowadays the Dutch aren’t too strict, with basically means any nice darker lager could go as bock beer. It’s a really nice festival for true beer lovers, especially for those who want to try something different. 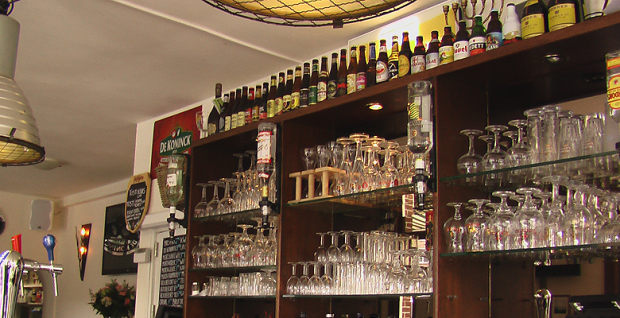 I have selected two of the best bock beer events in Amsterdam in October. Have fun learning and tasting more of this delicious liquid gold! Thursday 13 until Sunday 16 October, twelve bars in the Staatsliedenbuurt are collaborating so you can taste twelve different bock beers, even with matching tapas. The rules: you can buy a strip card from Thursday for just €29,95 at one of the participating bars. Than the marathon starts, you have until Sunday to visit all twelve bars and taste all the beers and tapas. In short; you decide the route, but also the pace, which is very nice because twelve bock beers in one day is probably too much of a good thing. The PINT Bokbierfestival has been around for decades, it’s the most famous and largest beer festival in the Netherlands. It all started in an Amsterdam bar, now it has grown into an event where about 12,000 visitors come to taste some great beers. This 39th edition runs from October 28-30. As opposed to previous years, this year they’ll be only serving Dutch bock beers. Everything is available from the barrel, so don’t lose you tasting glass. For just €20,- you are set with this great starter package, containing your entrance ticket, your tasting glass, a handy book with all the information you need and even three tokens. Next to a lot of beers there will be several great bands playing. Overall it’s a really nice festival for true beer lovers, especially for those who want to try something different. Have fun this month drinking delicious beers! And don’t forget, never drink more than you can handle..